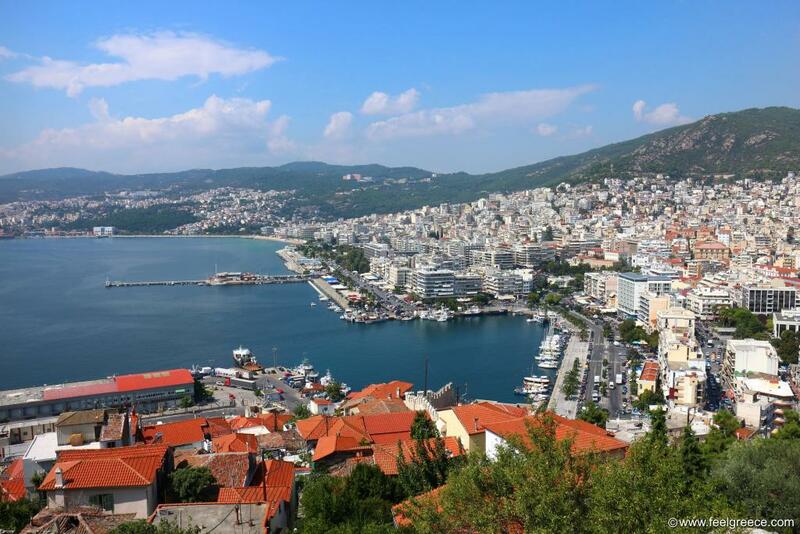 The north town of Kavala is a significant port which serves ferries to and from some islands of the North Aegean group like Thassos, Lemnos, Lesbos, Chios, Samos and Ikaria. It is a lively settlement dominated by a castle on the top, full of people - both locals and tourists, walking in the densely built streets, drinking coffee at the promenade or headed the beach. 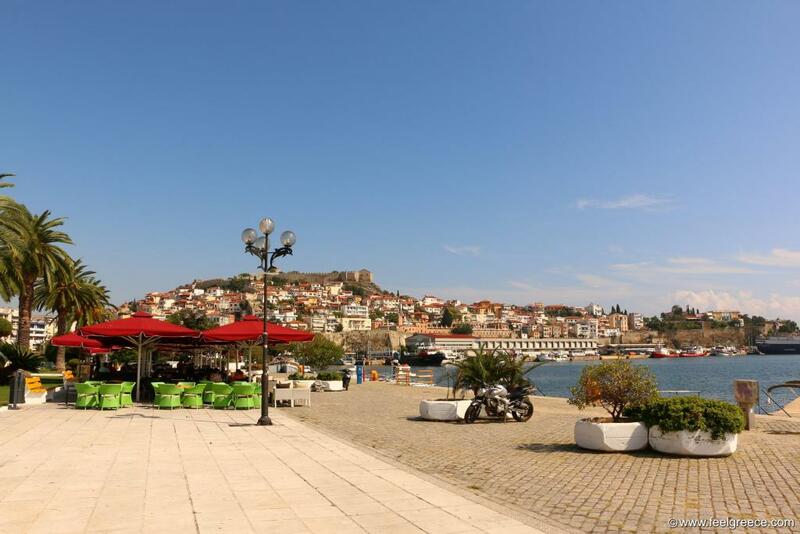 Yes, Kavala is not only a port, it has a total of three beaches within the town limits where you can spend some time in leisure. The town attracts mainly tourists for a day visit accommodated in the resorts within up to 30 minutes drive from Kavala - like Paleo, Nea Karvali, Nea Peramos, Nea Iraklitsa and even Keramoti. But if you choose to spend a few days in Kavala, you will definitely have plenty of things to do and these are the places not to miss. 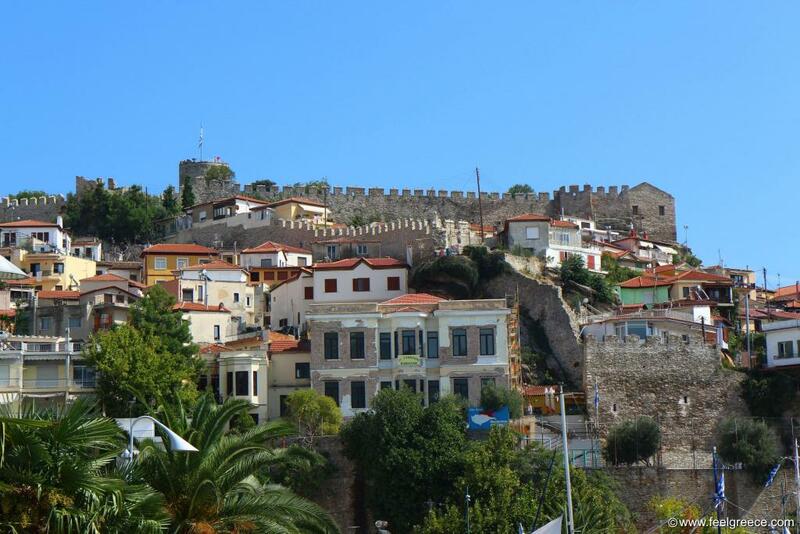 The Acropolis of Kavala occupies a rocky headland, also known as the Panagia or Old Town. A castle rises on the top above the port, its walls starting from the feet of the hill, going up and encircling the top. 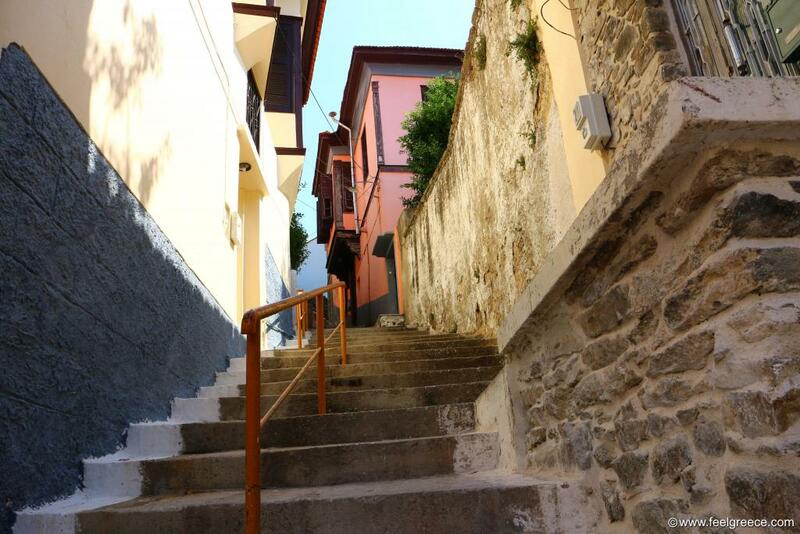 In order to go up you need to pass through the cobbled narrows streets of the Old Town. The castle is gated and entrance fee is applied. There you can see a circular tower and a few buildings which used to function as prison, arsenal storage and cisterns. 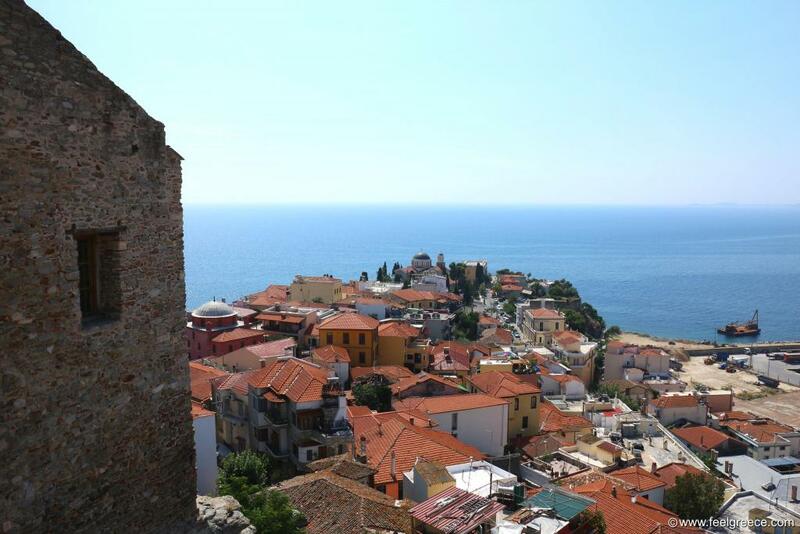 Do not hesitate to climb to the tower roof - it has a round platform with panoramic view of the town, the Aqueduct and the sea. 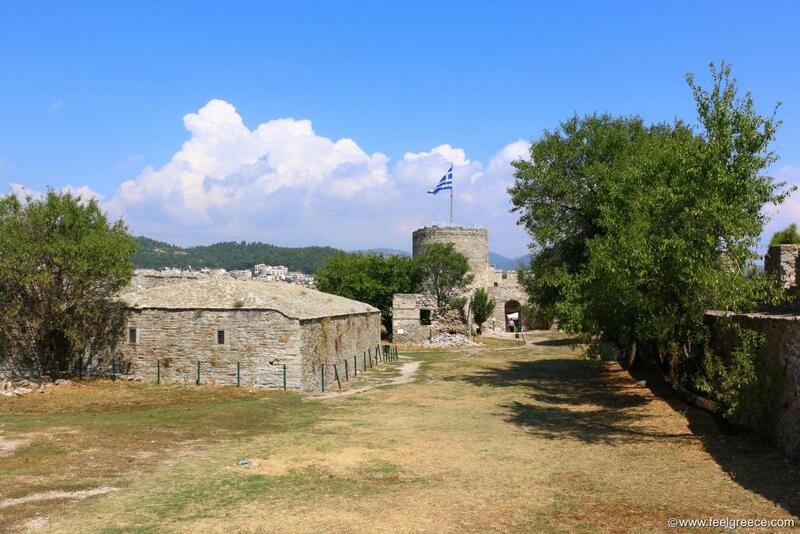 As mentioned, in order to reach the castle you need to pass through the Old Town of Kavala. This is the neighborhood around the Acropolis, amphitheatrically built on the small peninsula. You can enter it from a few places and wander in the alleys until you get to the castle. We can suggest you to start from the part which faces the harbor, there are signboards to guide you. You will first pass through a couple of cafes and tavernas opposite the Imaret, an ex hamam now turned into a five-star hotel. Here you have two choices: You can follow the steep cobbled street up which leads to the mosque of Halil Bey and the continues to the castle. Or, you can continue straight and walk towards the tip of the peninsula where you will find the house-museum of Mehmet (Mohamed) Ali. 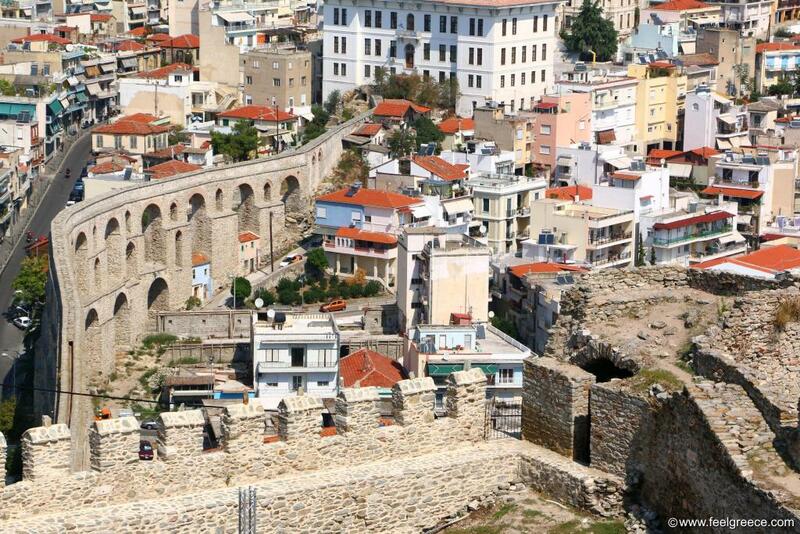 You will notice the arched walls of a solid ancient structure near the center and the Old Town. The Kamares Medieval Aqueduct spans across 280 meters and reaches height of 28 meters at some places. 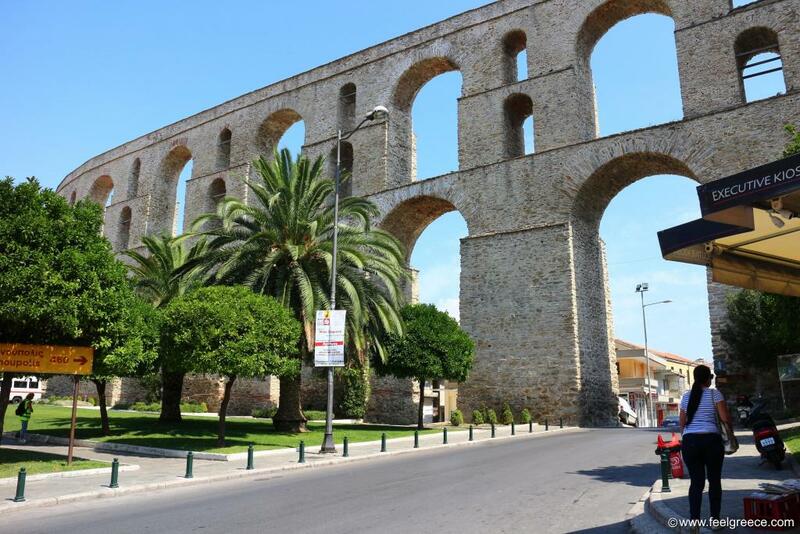 Its origin dates back to Roman times and it was part of the defensive walls of the town but in the 16 century Suleiman the Magnificent remodeled it to aqueduct which transported water from a mountain spring to Kavala, supplying public fountains and buildings. A nice view to Kamares is revealed from the castle. A stroll on the promenade is a must. 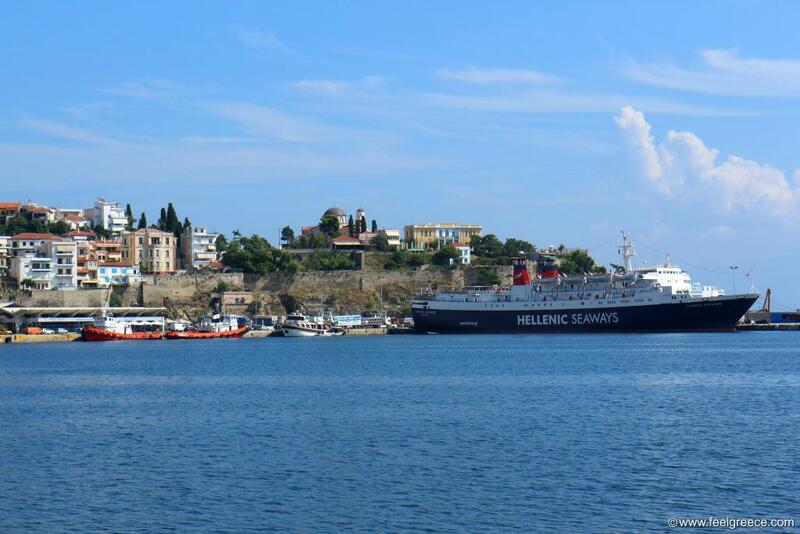 Not because you will be able to see the Acropolis all the time but because you can have a coffee, rest by the sea and watch the fishing boats and the ferries arriving and departing. High palm trees line a section of the promenade, with a few benches to rest. Park Falirou and the Archeological museum are at a short distance from the promenade, in south direction. Very close to the Old Town and the promenade, the central square Eleftherias is surrounded by busy narrow streets where cars run all the time. But this is the way to feel the vibe of Kavala and mix with the locals. 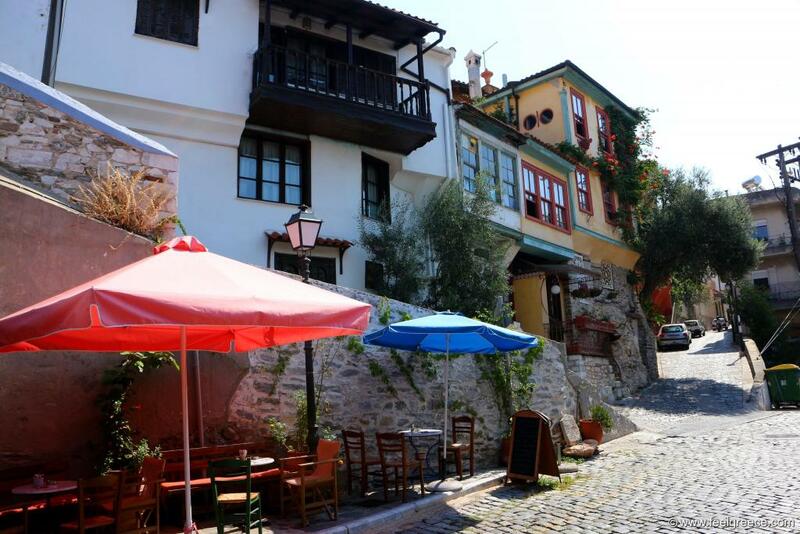 In the streets around the square you can find traditional bakeries, fast food (gyros, to be more precise) and small hidden taverns. The shopping center of Kavala is also close to Eleftherias Square but if you plan to visit in weekends keep in mind that no shop works on Sundays and official holidays. The cafes and tavernas do work, however.